If you bought your new headphones, now it is probably time to go a step further and see what options do you have in order to keep them safe and make your desk look cooler than before. When it comes to headphones, you have two ways to keep them in place: headphone stands and headphone hangers. The first ones are for people with bigger desks, where space is not an issue and hangers are for people that just want to have their headphones at hand, but maybe at the side or under the desk. 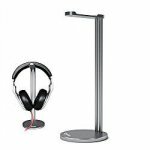 Headphones stands and hangers come with multiple of styles and two general types of material: metal and synthetic. 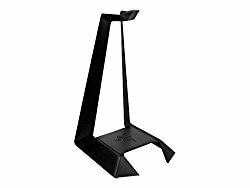 Metal hangers are usually more expensive and sturdier than their synthetic alternative, but among plastic stands, you can also find some gems. 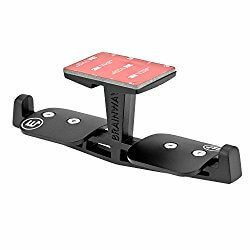 I looked for the best options you can find on amazon, and compiled a list of 23 stands and hangers, comparing their pros and cons. I hope you will find a good option for yourself. Although this acrylic stand costs less than 20 dollars, it doesn’t feel cheap. It’s built from a sturdy material that doesn’t seem to deform or bend out of shape. The one problem with this stand is when you are a Dj or music producer and want to use your headphones frequently you have to manually grab them by each earcup, what can be somewhat inconvenient for some people. It’s suitable for the number of headphones from different companies, such as Sennheiser, Sony, Beats, Bose, Koss, Corsair. You can find the whole list under this link. CONS / Not sturdy enough. This headphone hanger is made entirely from a good quality plastic. It can swivel, so you can hide it under the desk and keep it out of the way. The only disadvantage is that if you have a thick desk, the grip may not fit. So, better check product specifications, before buying it. PROS / Very adjustable, swivel. CONS / Not suitable for very thick desks. 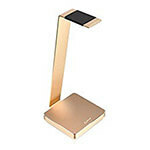 This stand is made of two materials: synthetic and metal. It has a big silicone bottom, which is also a cable holder. 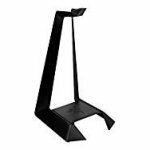 The base makes this stand more sturdy than other companies’ products. This product doesn’t have the wow factor, nor it’s the most beautiful stand you will ever see, but from the practical point of view, it can be a good choice. PROS / Sturdy, has a cable holder. CONS / Not the prettiest one. This stand is very versatile and can be used with any types of headphones. The top part where the headphones rest is made of soft rubber, so you can be sure that it won’t leave any marks. Some people complain that the stand is too light and can fall when they pull off their headphones. PROS / Easy to build, rubber top. CONS / Very light, can fall. 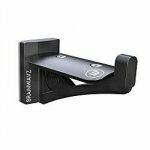 Brainwavz Hengja is a hook made of high-quality metal (aluminum). It offers a stylish design and seems pretty sturdy. You can attach it to desks with different thickness, but not thicker than 1.1 inch. When it comes to practical use, depending on your need you can attack it to both horizontal and vertical surfaces. CONS / Not for thick desks or tables. Another headphone hanger from Brainwavz. 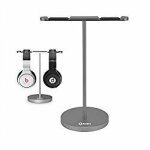 It is very similar to Hengja, but as the name suggest it has a hook at the end of the seat which will keep your headphones in place and will prevent them from accidental slips. 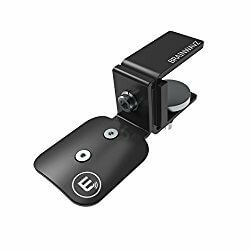 Another thing that distinguishes this hook from the aforementioned one is that this one uses adhesive – 3M VHB sticker tapes, so better be sure that you apply them to a proper smooth surface, like glass, flat plastic or flat wood. PROS / Sleek modern look. CONS / Not suitable for non flat surfaces. 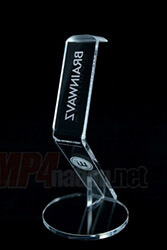 This stand is made of 6 mm thick plastic that gives this sturdy feel. Although it’s made of a light material you don’t have to worry about headset falling down. Although the manufacturer claims that the stand fits all headphones sizes, users think otherwise. 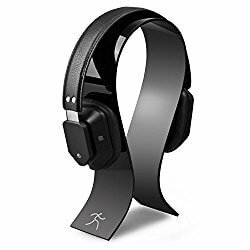 Some of them complained about problems with such headphones as AKG K702 and Shure SRH-840, so be careful when buying this product. CONS / Doesn’t fit all headphone sizes. Another hook from Brainwavz. This hanger is designed to hang two headphones. Similarly to other product from this manufacturer, it’s applied to a surface with 3M VBH Tape. It’s made of aluminum so it will keep its shape while holding even two pairs of headphones. PROS / Two hangers for the price of one. CONS / Too much space if you use one pair of headphones. This stand is as simple as it can get. It doesn’t pretend to be something more than headphone stand. It has a silicone pad that protects your headphone from scratches. Despite its simple look, this stand is quite expensive – about twice the price of other stands from the list. I think that this stand is overpriced. For this money, you can probably find something better. CONS / Too simple, not a very great value for the price. 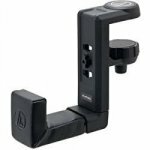 When you don’t have too much space on your desk, instead of using a stand, you can use a hook, which can be mounted on the side or under the desk. This hanger uses a 3M VBH foam tape, which is good for flat surfaces, such as metal or smooth synthetic materials. Some people complain about finding their headset on the floor, claiming that adhesive is not strong enough. So be sure that you use a suitable surface, or invest in stronger glue or some screws. PROS / Cheap, can save a lot of space on your desk. CONS / Adhesive is not strong enough for some surfaces. 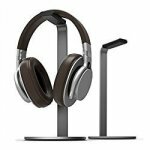 Another double headphones stand that appeared on our list. 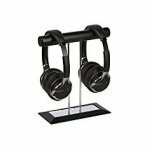 This inexpensive product is made of metal, and in parts where headphones rest, of leather. The only complaint I have with this stand, is that it’s not as sturdy as it looks on pictures. 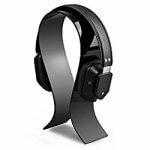 If you have two pairs of headphones, that are not really huge, this product can be a good choice for you. PROS / Synthetic leather won’t scratch your headphones. CONS / Not as sturdy as may seem on the pictures. 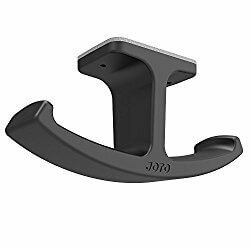 Another hanger for two pairs of headphones, this time from JOTO. It’s made entirely of rubber, so it can bend a little, but not enough to make you headphones drop. The only thing that people complain about is the method of attachment. Because it uses a 3M adhesive, so some people claim that they found their headphones lying on the floor after some time. So if you have an expensive headset, you should probably use a different form of attachment. PROS / Good product for the price. CONS / MBmay fall if the surface of attachment is not smooth enough. 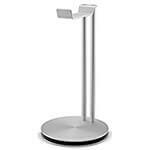 This stand is made of brushed aluminum, for which you will pay more than for a cheap synthetic material. Underneath the base is a rubber material that prevents the stand from scratching the surface of your desk. In general, it’s a good stand, but a bit pricey. PROS / Nice brushed aluminum. 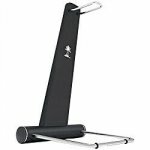 This stand from Long Run Technologies is made of a scratch resistant polymer and offers a stylish and sleek design. 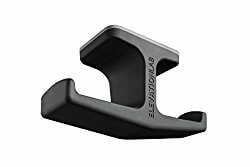 It’s sturdy enough to provide a stable foundation for your headphones. But remember it’s just plastic, so don’t require it to be as solid as metal constructions. PROS / Nice and elegant design. 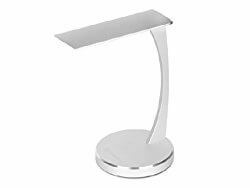 This aluminum stand feels very premium and elegant. It comes in four different colors: black, silver, gold and rose gold. 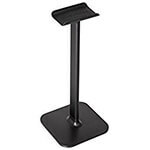 Rubber base provides a stable foundation and protects your desk from scratches. 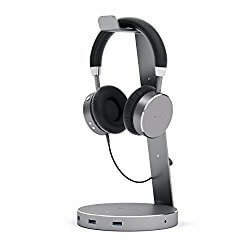 Before you buy this stand, you should check whether this stand is big enough for your headphones. CONS / Not suitable for very big headphones. 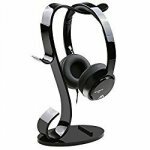 This multifunctional headphone holder, in addition to being a stand for your headphones, can also be used as a place to keep your cell phone, tablet, watch, or other gadgets. This acrylic stand has smooth edges, so you don’t have to worry about scratching your headphones. In the back of the product, you can find a hook, that can gather your cable to avoid the mess. PROS / Price, more than one function. CONS / Some people may find them too multifunctional. It’s made of a premium aluminum alloy. The silicon foundation provides a stable foundation that won’t scratch your desk. The place where you place your headphones is made of a leather, so you don’t have to worry about scratching them. Good for people who share a desk with someone or just have two pairs of headphones. PROS / Stand for two pairs of headphones. This product comes from a well-known brand that creates products for gamers. 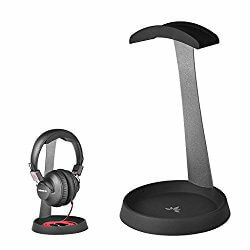 This stand is specifically designed for razer headphones, but can also fit other brands as well. 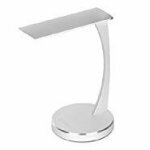 It’s made of high-quality aluminum with an anti-slip base, so it won’t scratch your table. This is a new player on our list. Sades created a stand specifically for gamers. It looks a bit like a joystick, but maybe it’s just my impression. It’s made from acrylic plastic and offers a soft rubber rest, which keeps the stand in place without moving around all over your desk. PROS / Cheep, good solid plastic. CONS / Only one color. 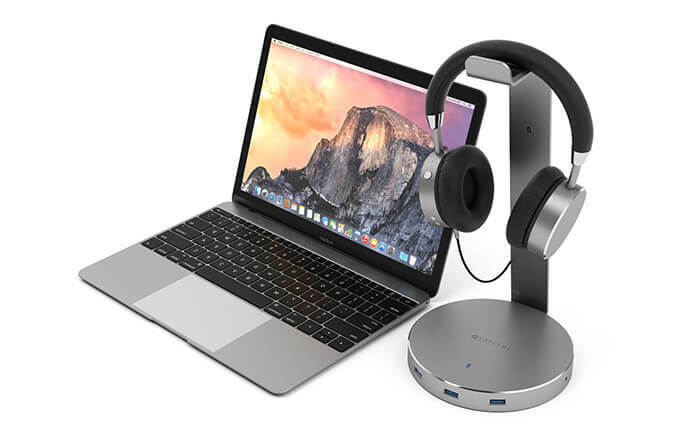 This stand from Satechi is the only one that is not only a stand but also a USB 3.0 hub, where you can connect up to three devices. At the back of the stand, you will find a cable organizer, which will let you avoid the cable mess. 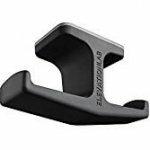 At the base, there is a rubberized grip that will keep your stand in place. PROS / Good quality, additional USB 3.0 ports. On this SilverStone stand, what is hard to notice at first, there is a place for not just one, but two pair of headphones. It’s made of aluminum and comes with two color options: black and silver. 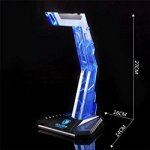 At the base of the stand, there is anti-slip rubber for better stability. The silver color has the same tone as an iMac, so if you are an owner of a computer from Apple, it will be a good addition to your desk. PROS / Comes in two colors, stand for two headphones, same silver tone as iMac. This Turtle Beach product offers a sleek design, that is different from any other stand. It has black matte finish stand and chromed metal brackets. Rubber feet prevents the product from sliding. But there is a problem with this stand – some people complain that the stand is not sturdy enough and when you place heavier headphones it may wobble. CONS / Not very stable.